Tuamotus Vacations are the ideal way to enjoy a beautiful tropical paradise beach vacation. 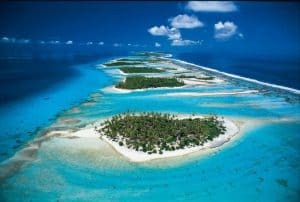 The Tuamotus Islands dream South Seas snapshot: the 77 atolls – narrow coral rings encircling turquoise lagoons – that make up this stunning archipelago are flung over an immense stretch of indigo-blue ocean. Life in the atolls is equal parts harsh and paradisiacal: hardly anything grows, so there’s little fruit and vegetables, and the only drinking water is collected from the rain. Yet the silence, starry skies, coral beaches, blue lagoons, idyllic motu (coral islets) and languid pace of life captivate nearly everyone who makes it here. 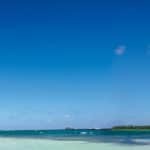 Most tourists visit Rangiroa, Tikehau and Fakarava, which have the bulk of the tourist infrastructure, but it’s also possible to explore lesser-known beauties such as Ahe, Mataiva and Makemo. 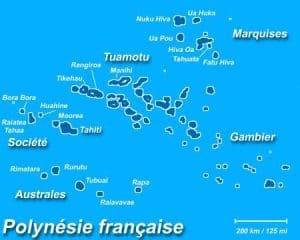 The Tuamotus get more sunshine than any other archipelago in French Polynesia. The shoulder seasons (April to May and October to November) are the best times to visit. From December to March is the when storms and rain are more likely. Between June and September, the prevailing trade winds produce pleasantly mild weather but rough seas – not ideal for boat excursions. Diving is excellent year-round, but the seas are calmer from October to May. 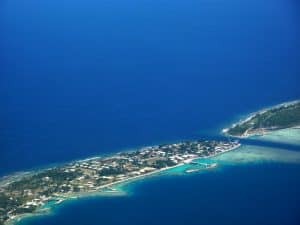 As the archipelago is farther north than the Society group, it tends to be a little hotter than the average 85°F in the summer and the average 80°F in winter that other islands experience. The wet season can be wetter, too. The upside is more sunny days and a constant lagoon temperature of around 78°F. There are numerous airports in the Tuamotus. Most fly into Tuamotu or arrive by boat or ship. Travel documents for entry into French Polynesia: Each passenger is solely responsible for obtaining and carrying the correct travel documentation, including a valid passport, Visa (if applicable), sufficient funds to cover length of stay, and medical information (if applicable). Always make sure that the way your name appears on the airline ticket matches your passport. It is also advisable that the other documentation you carry matches your passport name and that you identify yourself by the nationality on your passport. Make sure your passport is valid for the required time beyond your travel dates. Be advised, certain countries require a passport to be valid for six months beyond the date of departure. So it is a good rule of thumb to make sure your passport is valid for 6 months past your departure date from the islands. Avis is the main international companies; depots are usually located at the airport, ferry quay or both. There are several other small rental companies, many of which are attached to hotels or small pensions. Motor scooter rental is also available on most islands. Traffic is sparse, making driving easy. Offers a shuttle service between Ohotu wharf and Tiputa village for 600 CFP return; taking a bicycle over costs 500 CFP extra. The crossing takes about five minutes. Fakarava Yacht Services offers many services and activities for passing sailboats, sailing yachts, luxury yachts, charter boats, cruise ships, and passenger ships. They also work closely with Fakarava guesthouses. Fakarava Yacht Services has privileged access to the village center, the quay and to the airport. For more information call them at 689 87 75 34 84, or visit them on the web at Fakarava Yacht Services. 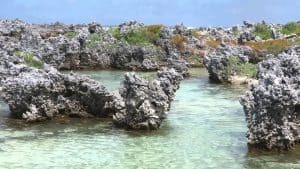 South of the atoll, an hour by boat from Avatoru, Île aux Récifs is an area dotted with raised coral outcrops weathered shapes chiseled by erosion into petrified shapes on the exterior reef. They stretch for several hundred meters, with basins and channels that make superb natural swimming pools. There’s a good shallow channel for swimming and a picturesque coconut grove by the beach. You’ll need to take a boat tour from Avatoru to get to Île aux Récifs. This is what many people visualize when imagining a Polynesian paradise: a string of motu and coral reefs has formed a natural pool on the edge of the main reef, a lagoon within a lagoon. 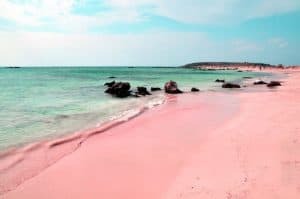 You can walk knee-deep across a (mostly dead) coral seabed to visit a bird island and laze on incredibly photogenic spits of white-and-pink coral sands. This intimate paradise is reached only on lagoon-excursion boats from Avatoru, about an hour away. The farm is an easy walk from the airport on the edge of the lagoon. 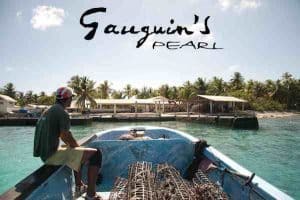 A guide, who explains the long and laborious process of cultivating Tahitian black pearls, shows around small groups. Tours take 30 minutes and are fascinating; you’ll learn about the Pinctada margaritifera or black-lipped oyster, and watch technicians insert a nucleus (a small shell bead) into the oyster and attach it with a graft of oyster muscle tissue to begin the pearling process. Very few visitors venture to this charmingly quiet village edging the eastern side of Tiputa Pass. 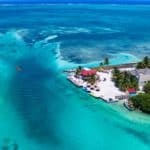 Although it doesn’t have tourist facilities (all accommodation options are on Avatoru), it’s well worth the trip for its wonderfully relaxed atmosphere and to get a sense of atoll life; getting a boat across the Tiputa Pass adds to the whole experience. A track continues east from the the village through coconut plantations until it’s halted by the next shallow channel. Vin de Tahiti has a 6-hectare vineyard planted on a palm-fringed motuabout 10 minutes by boat from Avatoru village. This is the only atoll vineyard in the world, making the only wines produced from coral soil. It produces coral white wine, dry white, sweet white and rosé. Avatoru won’t leap to the top of your list of preferred villages in French Polynesia, but its location, right by Avatoru Pass and the lagoon, is stunning. The two churches – one Catholic and one Mormon – are about the only buildings of interest. When you dine at this outdoor restaurant you’ll feel like you’re dining in a home, not a restaurant. Located on a terrace overlooking Tiputa Pass, there are just five tables for diners and a large table where the hostess, Josephine, often entertains her guests. The three-course set menu may include tuna tartare, fish soup, grilled scampi, or Mahi Mahi with ginger and Chinese spices, while a coconut or chocolate and rum tart are often on the menu for dessert. For more information call 92 02 00. This restaurant attracts quite a crowd of locals on weekends and a few guests from the nearby Hotel Maitai Rangiroa. As one of only a handful of independent restaurants on the island it gets busy during the high season. Dine indoors or out under a thatched roof on a mainly French menu with a long list of pizzas as well. You might start with homemade foie gras, followed by shrimp sauteed with orange and ginger, and then end with a classic French treat such as profiteroles. For more information call 96 05 96. This is a very pleasant spot for lunch if you’re cycling along the main road; you can also check your e-mail here but the Internet connection is rather slow. As there are free transfers from the hotels, you can enjoy a few drinks over dinner. There’s a three-course set menu with two to three choices per course, and an á la carte menu featuring mussels in white wine; grilled tuna steak with soy sauce, garlic and ginger; and coffee ice cream with Kahlua for dessert. For more information call 96 03 39. Blue Dolphins Diving Center. Blue Dolphins Diving Center offers four dives a day—two within the lagoon and two to the passes. Sites include Hammerhead Valley in Tiputa Pass, named after a shark species you might encounter. For more information call 96 03 01 or visit them on the web at Blue Dolphins Diving Center. Raie Manta Club. 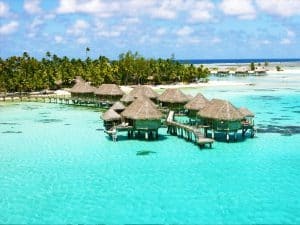 Raie Manta Club has Rangiroa covered with a kiosk at both Avatoru and Tiputa passes. Dives start from 6,500 CFP and there are kids’ dives, too. For more information call them at 96 84 80, or visit them on the web at Raie Manta Club. Rangiroa Activites. 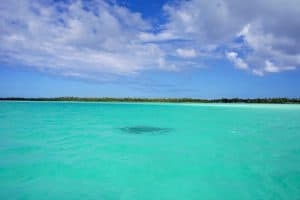 Rangiroa Activites offers a two-in-one excursion that includes drift snorkeling in the Tiputa Pass and a dolphin-watch cruise. The tour costs 4,750 CFP per person with free pension/hotel pickup. For more information call them at 77 65 86, or visit them on the web at Rangiroa Activities. Tane Excursions. Tane Excursions offers a Blue Lagoon tour, as well as a combined Blue Lagoon/Ils aux Recifs tour, for 7,500 and 10,500 CFP, respectively. The second tour requires a lot of time in the boat. For more information call 96 84 68. Te Reva Tane e Vahine. Owner Jean-Pierre Tavita puts on a great Blue Lagoon tour and motu picnic (from 7,500 CFP). He and his daughter even weave little baskets out of palm fronds right before your eyes. For more information call 96 82 51. This property is a 12-minute walk from the beach. Located in Avatoru, 0.7 miles from Tiputa Pass, Hotel Kia Ora Resort & Spa features air-conditioned rooms with free WiFi throughout the property. Guests can enjoy the on-site restaurant. A flat-screen TV, as well as an iPod docking station are available. Certain rooms have views of the sea or garden. Every room comes with a private bathroom. For your comfort, you will find bathrobes, slippers and free toiletries. There is free shuttle service, babysitting services, concierge services and a shops at the property. A number of activities are available in the area, such as snorkeling and diving. The resort also provides bike rental. For more information, pricing, or to reserve your room, visit Hotel Kia Ora Resort & Spa. 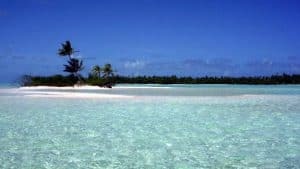 Maitai Rangiroa is located between the villages of Avatoru and Tiputa, on one of the largest lagoons in the Southern Hemisphere. It is a 5-minute drive from the domestic airport, and an airport shuttle service is available for a fee. The hotel includes a restaurant, free rental of snorkeling equipment and free parking on site. The Polynesian-style bungalows are fitted with a minibar, tea/coffee-making facilities and a flat-screen TV. The private bathrooms are stocked with toiletries and a hairdryer. The property features a weekly activity program which includes a Poisson Cru Show, a flower crown presentation and Tahitian dance lessons. The staff at the tour desk can assist with arranging excursions to the Blue Lagoon, vineyard tours and diving trips. Lagon Blue Restaurant serves French, Polynesian and international specialties for lunch and dinner. Tropical cocktails can be enjoyed at the Mawake Bar, which overlooks the lagoon. For more information, pricing, or to reserve your room, visit Maitai Rangiroa. An hour boat ride from the resort, south of Rangiroa atoll, Le Sauvage is a private island where only five bungalows and a restaurant stand. Enjoy snorkeling, reading while swaying on a hammock, or gaze out at the horizon – feel the luxury of spending time doing ‘nothing’. After sunset, the only light is from the lanterns and the moon; complete darkness falls upon the island. The beauty of the stars above stands out in the dark. Spend time at this ultimate private hideaway apart from the modern daily life: no electricity, no cell phones, no e-mails to interrupt your time of tranquility. For more information, pricing, or to reserve your room, visit Le Sauvage Private Island. 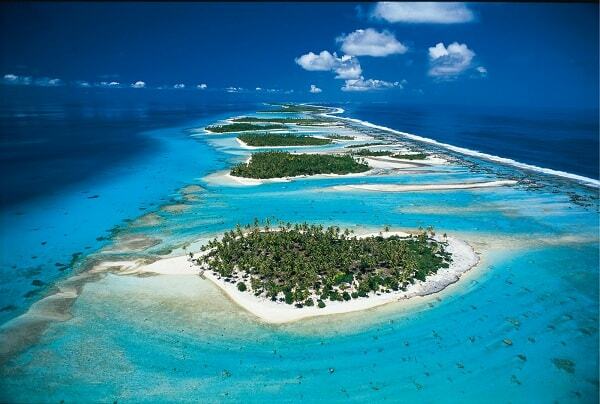 One of the largest and most beautiful atolls in French Polynesia, Fakarava is the stuff of South Seas fantasy. Heavenly white and pink sand, ruffled coconut trees and an unbelievable palette of lagoon blues are the norm here. The atmosphere is supremely relaxed and the infrastructure is quite good, with an assortment of well-run pensions. Here are the Fakarava top sights not to miss. 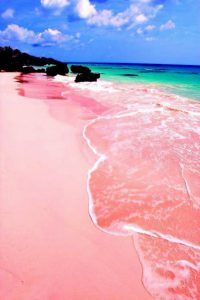 A double crescent of dreamy beaches split by a narrow spit of white-and-pink coral sands, Les Sables Roses seems to come right out of central casting for tropical ideals. The turquoise water laps both sides of the sandy strip and there’s only one boat: yours. It’s perfect for relaxing, swimming and evening up your sunburn. It’s near the southernmost tip of the atoll, not far from Tetamanu, and is reached only on lagoon-excursion boats. It’s hard to believe that this village of a dozen people was once the capital of the Tuamotus. The coral church, built in 1874, is still there, along with the Tetamanu Village pension right next to the Tamakohua Pass. The pension operates its own dive center. The owners of the Raimiti pension (about 9.6 km [6 mi] north of the pass) consider themselves Tetamanu citizens and are included in the dozen. The village and pensions are about 48 km (30 mi) from the airport and a 90-minute boat ride away. Situated on the northeast corner of Fakarava, this village of 860 people is where the action happens on the atoll. There’s a pretty Catholic church, a primary school, a few telephone booths that take phone cards, a pharmacy with a doctor and nurse, and a post office with Internet connection. There is no bank or ATMs but the two general stores now accept credit cards. It does have a 15-km (9-mi) road and a cycling lane, so biking is a fun way to explore the area. Simply divine. Near the northwestern corner of Fakarava, Lagon Bleu features an indescribably lovely stretch of white-sand coral beach, turquoise-blue water, palm trees leaning over the shore – and not a soul in sight. It’s a fantastic place for a picnic or a bout of snorkeling and swimming. You’ll need to take a boat tour to get to Lagon Bleu. This photogenic 15m-tall grey turret (dating from 1957) looks as if it’s on loan from a medieval castle. The lighthouse is no longer in operation. To get here, follow the road to the airport and look for PK2.5 (point kilométrique), from where a dirt track leads to the lighthouse. This partly restored marae built of coral slabs sits in a coconut grove beside a lovely strip of coral sand, about 400m past Plage du PK9. The beach offers shimmering waters and is great for sunbathing, picnicking, swimming and snorkeling. Beware of falling coconuts. A bit of a local’s secret, Plage du PK9 is – you guessed it – 9km west of Rotoava (go past the airport and follow the dirt track towards the northern pass; at the PK9 marker, take the path to the left). 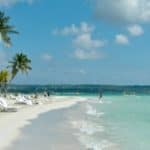 It’s a thin, laid-back stretch of white coral sand backed by palms and lapped by sparkling turquoise waters. It’s equally good for sunning and swimming and there’s excellent snorkeling not far offshore. Bring plenty of water. Beware of falling coconuts. Guests dine under white canvas umbrellas on a terrace on the edge of the lagoon by day, or at tables set with white linen and sparkling glassware by night. This restaurant is casual chic and is the most elegant on the island. Start with foie gras or mussels and move on to grilled salmon or whatever fresh lagoon fish has come in with the catch. Desserts include coconut and papaya tarts served with vanilla ice cream. Stop by the Kiri Kiri bar for a pre-dinner cocktail. For more information call 93 41 50. Non guests dining at this little pension and pearl farm will be offered a two-course set menu. Dishes will vary depending on what the chef has made that evening, but may include Mahi Mahi with honey sauce, oysters with coconut sauce, tuna sashimi, or even barbecued steak imported from New Zealand. Phone first at 93 40 15 to ask about transfers. Top Dive-Bathys Fakarava. Top Dive Fakarava is based at the White Sand Beach Resort, and also across the lagoon at Pension Raimiti. They offer drop-off dives in the ocean, beginners’ dives in the lagoon, and drift dives in the two passes that literally teem with sharks, turtles, rays, and other amazing marine life. For more information call 98 43 76, or visit them on the web at Top Dive-Bathys Fakarava..
Tetamanu Diving Center. Tetamanu Diving Center is the only dive center at Tamakohua Pass—the 200-meter pass in the south of the atoll. The coral is amazing and schools of gray sharks love it here. For more information call 71 38 34, or visit them on the web at Tetamanu Diving Center. Tamatoa 2. Tamatoa 2, a 24-foot boat based at Pension Vaiama Village, takes 12 passengers on excursions to bird islands, motu picnic spots, and Tetamanu village. For more information call 98 41 13, or visit them on the web at Tamatoa 2. Fakarava Explorer. This covered 32-foot motor boat can take up to 10 passengers on lagoon and coral reef excursions. For more information call 98–42–66 or 73–93–89, or visit them on the web at Fakarava Explorer. Ideally located in the village center, near shops, lagoon, restaurants and snacks, enjoy the authentic charm of Polynesia in this unique setting, in connection with nature, the elements and the population. Their bungalows, local colored, are located oceanfront, on the reef side. 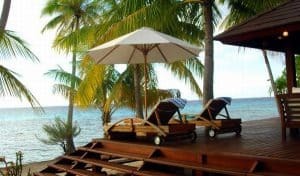 They are mounted on stilts and have a small terrace with view, where you can relax in the shade of coconut trees, lulled by the surf waves and ocean breezes. The bungalows are designed to accommodate two people, however an extra-bed may however be installed on request. For more information, pricing, or to reserve your room, visit Relais Marama. Raimiti will help you to live a truly authentic experience, far from it all. Here you will find the traditional Polynesian hospitality you have heard so much about. You will share the warm atmosphere of a guest house that combines comfort and quality. Above all, each customer is welcomed as a friend. For more information, pricing, or to reserve your room, visit Raimiti. The Pearl Havaiki Fakarava is a lodge bordering the lagoon with a very nice beach ! Located at 1.5 miles from the airport and a few hundred yards away from the main village of Rotoava, you will enjoy a breathtaking landscape to the appearance of a lost paradise. The Pearl Havaiki offers 15 bungalows built on the beach or in the garden. The Pearl Haivaiki offers kayak and bike to discover Fakarava freely. For more information, pricing, or to reserve your room, visit Pearl Havaiki on TripAdvisor. Also known as Paeua, Manihi’s main town is home to most of the atoll’s 1,200 people. It’s located near Turipaoa Pass (also known as Tairapa Pass), a renowned diving site. With only a few streets, a grocery story, and Catholic church, it’s easy to explore. There are regular free boat transfers between the town and Manihi Pearl Resort, and bikes are welcome on board. There are no banks or ATMs on Manihi. Situated in a lovely garden with fabulous lagoon views, this restaurant is the big night out on the island. Highlights of a three-course meal may be the half-cooked tuna with ginger and mango sauce, grilled parrot fish with Marquesas butter sauce, and a warm papaya pie with coconut ice cream. If you want to splurge, there’s the grilled lobster with vanilla cream at 5,500 CFP. As this is the only restaurant on the atoll, it’s smart to call ahead for reservations. For more information call 96 42 73. Diving and Snorkeling: Divers have the chance to explore three different environments here: drift diving in the Tairapa Pass; the “drop-off” on the pass’s ocean side; and wonderful coral at “The Circus” inside the lagoon. Snorkelers can also drift along the pass. Manihi Blue Nui Dive Center. Located at the Manihi Pearl Beach Resort, the Manihi Blue Nui Dive Center is the only dive operator on Manihi. There are dive sites ideal for beginner and experienced divers inside and outside the lagoon. For more information call 96 42 17. Mahini Pearl Beach Resort. Mahini Pearl Beach Resort is the only real player in Manihi and it can organize all sort of water-based activities. The smaller pensions will also be able to book activities, but it is wise to check in advance whether operators pick up from the smaller pensions, which are located away from the main town. For more information call 96 42 73, or visit them on the web at Mahini Pearl Beach Resort. Showcasing a barbecue and sun terrace, Pension Poerani Nui is located in Manihi in the region of Manihi. Guests can enjoy the on-site restaurant. For more information, pricing, or to reserve your room, visit Pension Poerani Nui. This island in the middle of the lagoon is a haven for thousands of boobies (birds, people! ), sooties, noddies, and terns. It’s a noisy day out, to say the least, but the birds are amazing and there’s usually a picnic included in the trip. Day trips take off from Tikehau Pearl Beach Resort. Sables Roses, a tiny motu adrift in Tikehau’s gorgeous lagoon, with towering coconut trees and pink-sand beaches. The day trips here are leisurely affairs—swimming, snorkeling, and beachcombing. When the tide’s out it’s possible to walk across the shallow channels to other motus and even out to the ocean side. The name of the main town and the motu on which the airport is built, this busy little center has four churches (three on the same corner and the other near the quay), a town hall, medical center, a general store, and a snack bar, but no bank. Most of the pensions are located near the town and folks are transferred by car; the Tikehau Pearl Resort is 10 minutes away and requires a boat transfer. You’ll really know you’re in the South Seas when you dining at this open-air restaurant. The gentle breezes waft in and the views—across the lagoon and out to the over water bungalows—are fantastic. The menu has some new twists on old island favorites such as the appetizer of potted mince of Mahi Mahi served with local potato chips and confit tomatoes, and the main course of fillet of lamb on a bed of fafa (taro leaves) with Marquesas Islands honey and ginger sauce. The decadent banana-and-rum cake smothered in coconut milk mousse is a great way to end the meal. It’s wise to book ahead if you want to dine here, because a boat transfer, which may be an additional cost, is required. For more information call 96 23 00, or visit them on the web at Poreho Restaurant. At the Tianoa Bar in the Tikehau Pearl Resort you can order a mai tai and let the balmy breezes and the music of the trio of Polynesian singers (June–October) lull you into a deep state of relaxation. For more information call 96 23 00, or visit them at Tikehau Pearl Resort. On an idyllic pink and white sandy beach, Tikehau Pearl has oceanfront accommodations with a private patio. It features a day spa, a swimming pool and free kayak rental. Manea Spa offers a range of traditional Polynesian ‘Taurumi’ facial and body treatments. Tikehau Blue Nui Dive Centre features a range of scuba diving opportunities, for beginner and advanced divers. Poreho Restaurant overlooks the lagoon, and features European and Polynesian cuisine. Tianoa Bar serves a range of cocktails in a beautiful setting between the beach and the pool. For more information, pricing, or to reserve your room, visit Tikehau Pearl Beach Resort. Nestled on the beach, this Tuherahera resort is within 1 mi (2 km) of Tikehau Church and Tikehau Port. Tikehau Dock is 1.7 mi (2.8 km) away. At Ninamu Resort – All Inclusive, hit the private white sand beach where you can enjoy snorkeling, then dine onsite at Onsite venue. For more information, pricing, or to reserve your room, visit Tikehau Ninamu Resort. Tikehau Village. Tikehau Village rents out bikes and is ideally located near the island’s one road. Tuherahera, Tikehau, Tuamotu-Gambier Islands. For more information call 96 22 86. Tikehau Blue Nui. Located at the Tikehau Pearl Beach Resort, Tikehau Blue Nui will show you all those wonderful fish that Jacques Cousteau raved about. For more information call 96–22–40, or visit them on the web at Tikehau Blue Nui. Tikehau Pearl Beach Resort. 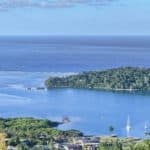 If you’re looking to go boating, sailing, fishing, or on a lagoon excursion, contact the Tikehau Pearl Beach Resort can arrange the outings for you; however, not all will be available every day. Half-day excursions with lunch are approximately 7,500 CFP. For more information call 96 23 00, or visit them at Tikehau Pearl Resort. Tikehau Pearl Beach Resort. The Tikehau Pearl Beach Resort can organize all the excursions. For more information call 96 23 00, or visit them at Tikehau Pearl Resort. Take a day trip to Makemo for spectacular undersea landscapes, pristine motu and an unhurried pace of life. Makemo is the place to go for unspoiled scuba diving. Scuba Makemo is run by a French instructor who’s been conducting dives in the Tuamotus for more than 20 years. The main dive site is Arikitamiro Pass, a mere five-minute boat ride from the village. Above the water, Makemo will also take your breath away. 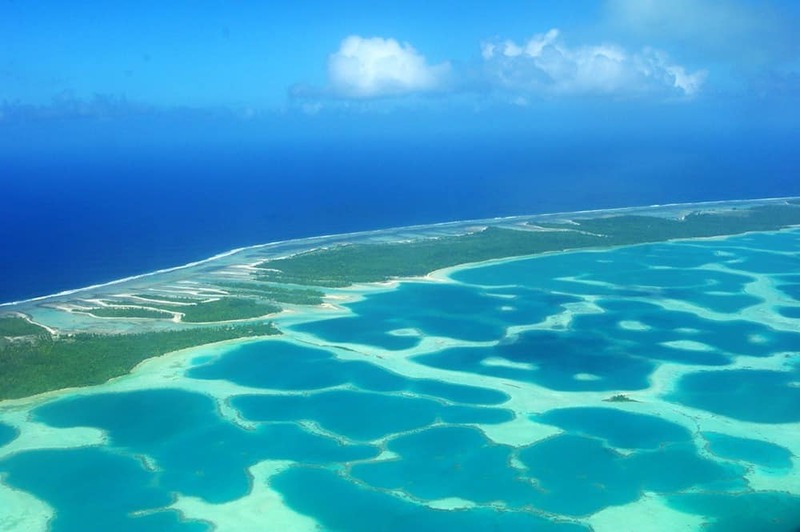 At the eastern tip of the atoll, Pohue is an impossibly scenic natural site that looks like a huge glinting turquoise swimming pool. Another idyllic place is Motu Napahere, a deserted, white-beach clad islet that seems to be floating in the turquoise lagoon, a 30-minute boat ride away from the village. Oh, and there’s Tiketike, a stunning beach lapped by topaz waters and backed by arching coconut trees. This magical spot is a mere 15-minute boat ride away from Pouheva. A day trip to Mataiva is like stepping into a time machine, this tiny, picturesque atoll is the sort of hideaway that you search for your whole life to discover. Despite the limited tourist infrastructure, it provides a delightful holiday escape and is becoming one of the more popular spots in the archipelago. 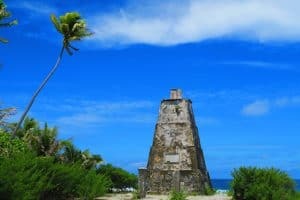 There are superb coral beaches, numerous snorkelling spots, two well-priced pensions, lots of fish and one of the few noteworthy archaeological sites in the Tuamotus. The structure of the Mataiva lagoon gives it an unusual appearance: the coral heads create walls 50m to 300m wide that form about 70 basins with a maximum depth of 10m. Seen from the plane it looks like a mosaic of greens. Unforgettable. Thanks for visiting Tuamotus Vacations. And yes, definitely one for the bucket list. Tuamotus is an amazing place, and you would love it! I love the site. There are so many beautiful beaches, and beautiful pictures of beaches. You have many restaurant reviews. I like that you have dollar signs to indicate if something is expensive or more affordable. What is the actual price range that the dollar signs represen? I feel this would help me in my planning process. Yes I can 🙂 $ is under 10, $$ is 11 – 30, $$$ is 31 – 60, and $$$$ is over 60 🙂 And this is per meal ordered. Hope that helps and thanks for reading Tuamotus Vacations. Thank you so much Katherine and I am the same way. There as to be the ocean, the sea, the bay and most definitely the beach! This is one of those hidden gems packed with beauty and everything that most love. Thanks for reading and I am glad you enjoyed my site! This is soooo tempting!! 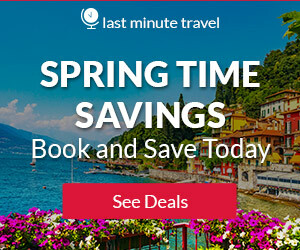 As a matter of fact, your entire site has been saved on my bookmark list for it is so full of motivation to select a vacation destination and also information about what and how for that destination. Thank you so much! This is definitely a passion of mine for sure. 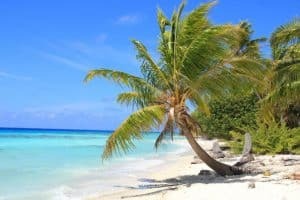 If there is a particular beach destination you are interested in, please let me know and I will get some some information 🙂 Thanks for visiting Tuamotus Vacations! Just reading this article makes me feel like I have gone there already! This is an awesome place to visit and have a wonderful vacation. So much to see and do. The Lagoons and the atmosphere sound absolutely fabulous. You never know maybe one day I may be able to visit. How far is an airline trip from the southern US? This travel page is a treasure chest of knowledge! I appreciate the fact that you have many gorgeous pictures of the locations and history and information on each locale. One of the things that really stuck out was your in depth knowledge that you share to the customer about points of interest, best places for certain things and the price range of available amenities. This helps greatly on planning out the trip. I found the site very pleasurable and easy to use. In fact I found myself on this site for a couple hours daydreaming and planning my next vacation. My wife and I will be using you for future trips and will recommend others to use it as well. Best of luck on all your success and hope to see you on the beach soon! Thank you so much Scott and I am so glad my site captivated you for a while. Please let me know if I can answer any questions when you get ready to plan your next trip. Thank you so much for visiting Tuamotus Vacations! Wow, your article is so detailed and super through. It makes me want to go there right now. The pictures look so beautiful and relaxing. Your post not only cover the description of the place, but you also provided places to visit, what restaurants to go to, things to do, hotels to stay. I felt that if I ever go visit this place, you have pretty much covered all the things I need to know. And I don’t have to worry so much about getting lost. Thank you so much for this wonderful post. If I ever go there, I will let you know. Keep up with the good work. Thank you so much. 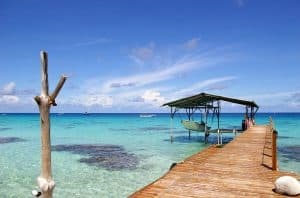 The Tuamotus Islands are really a wonderful surprise in the Caribbean. Please let me know if you decide to plan a trip here. I would be more than happy to help you in your planning. You would really enjoy this as a wonderful beach vacation. Thanks for visiting BeachTravelDestinations.com. Your website made me reach those places by just reading. You gave detailed descriptions, instructions and suggestions. I wish I could have a chance to travel and to experience the wonder of even one of those places. But you said this month is not ideal for boat excursions because of trade winds. Not this month no, and those trade winds can get a bit gusty. But you know what, without them I feel I would get a little to hot, so they feel kind of refreshing for sure. Thanks for visiting! First of all, wow, the stunningly deep blue color of the ocean water around Tuamotus are unlike anything I have seen in my life. Having been to Hawaii 6 times in my life, their ocean water is blue, but nothing like those depicted in the image seen in this article. 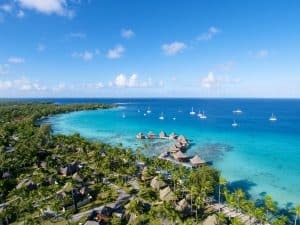 As you first presented your review of this paradise in French Polynesia, it was great that you suggested the ideal times to take a vacation in Tuamotus; considering all the factors regarding weather, rough seas, etc with April -May and October – November providing the best times that the island provides year round. Also seen in your review, travel to the island via a trans-Pacific flight coming from the U.S. (with a stopover most likely first in Honolulu) does seem to involve a number of connections necessary to reach the destination. I don’t believe that a direct flight from Honolulu to Tuamotus exists. During your excellent reviews of vacation spots previously read by me on your website, I always take note of your recommendations regarding sightseeing and other activities to do. 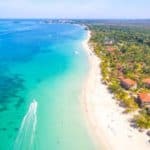 With this particular spot being an island, naturally you recommended a number of water activities – snorkeling, swimming, boat trips to hidden scenic spots, etc. This would be an incredible vacation, especially as it does not appear to be “touristy” with people literally everywhere you turn – such as Waikiki in Hawaii during the summer months. I can imagine that visiting this island, especially first of all considering airfare would be rather expensive if coming from the continental U.S. Add in hotels, sightseeing, meals at restaurants and everything else although still it would be a memorable vacation. You are right that it will not be “touristy” like some popular destinations as Hawaii. I love beach travel, and it is funny that you mention Hawaii. I have only been once, but plan on going back soon! I guess I like both the peace and tranquility, as well as the hustle and bustle. Thanks for your great review! I just realized have read your European vacation blog as well. This one too is very thorough and organized. That blue water looks unreal. The Caribbean seems to be closer or easier for me in terms of travel and I have never been there yet. Also there wouldn’t be jet lag which I like lol. You are welcome! I don’t mind the jet lag so much, if I can just recuperate from it on the beach 🙂 Yes, the water is so alluring! Between that and the beach, Tuamotus just really is amazing! Thanks for reading! Beautiful! Wow, that is where I’d like to go during the winter to get away from snow. It’s interesting that not much grows there. But, like you said, it still looks like an amazing place to visit. I love the color of the water. It’s so vibrant. I added this to my wishlist for my wife and I to go see. Maybe on one of our anniversaries. Thank you for your easy to follow vacation guide! You are very welcome and yes, beautiful indeed! I am glad you enjoyed reading. Out of all the spots in the French Polynesia, this is my personal favorite I think. Let me know if you need any additional information. Comprehensive coverage of all the possible requirements of a traveller are taken care of in the post. 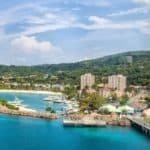 Details as to which places to visit, how to reach the place, which hotel options are available, which are the best restaurants available , things to do, transport options available for each major island is covered. One can thus make a very good travel plan based on the information provided. Keep writing such informative articles to help your readers take informed decisions. Thank yo so much! I am glad you found everything you need. The Tuamotus Islands are wonderful. And it is important when traveling to French Polynesia to make sure everything is covered 🙂 We would not want to ruin a good beach vacation! 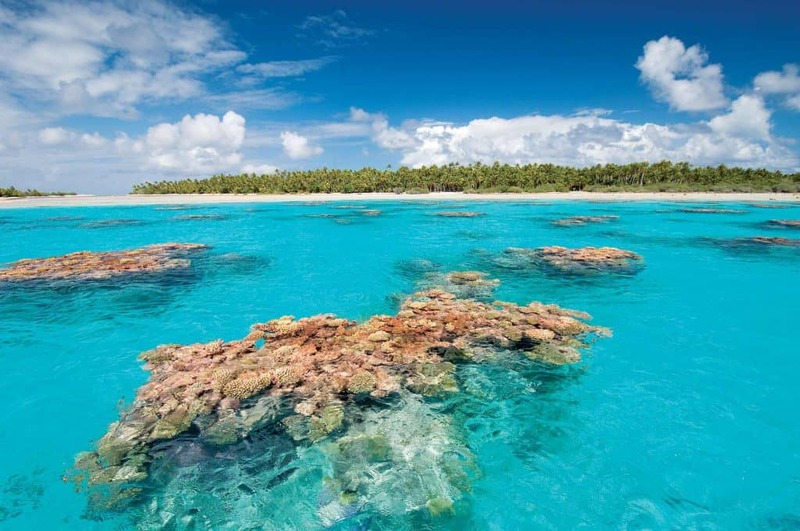 Thank-you for the thorough and helpful article on Tuamotus Vacations. I dream of going to exotic destinations for a vacation. It’s getting harder for me to travel now so I’ll just have to day dream reading your articles. You have done a great job on the Tuamotus Islands! Great job! Thank you and hey, nothing wrong with dreaming 🙂 If you ever can make it, you would really enjoy the Tuamotus Islands. They are a wonderful beach destination!